The OCD promoted an array of shelter design techniques for use in preexisting buildings and new construction. In the early 1960s, thousands of architects and engineers completed OCD-sponsored courses to become certified in fallout shelter analysis. 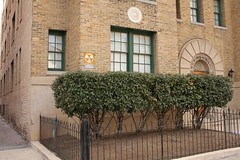 In addition, the OCD worked with professional organizations, such as the American Institute of Architects (AIA), to incorporate shelter design concepts into university curriculum. In 1963 and 1964, the OCD and AIA held fallout shelter design competitions, which featured public fallout shelter spaces in elementary schools and shopping malls. Universities began offering courses in fallout shelter design and analysis and more than 9,200 professionals had been certified as of April 1965. 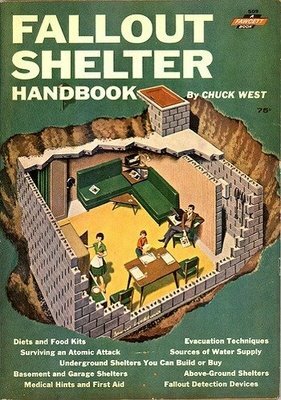 In 1965, the OCD published a volume entitled New Buildings with Fallout Shelters, which described techniques architects and engineers could use to incorporate fallout protection in new construction, sometimes for little or no additional cost. The term coined for installation of fallout protection in new construction was “slanting.” The goal of slanting was to incorporate fallout protection in new buildings without negatively affecting the normal function, appearance, or cost of a building. Factors involved included the location and quantity of windows and doors, site conditions, and density of walls. In 1965, the OCD offered the General Services Administration (GSA) and other federal agencies professional consulting services on slanting techniques for new construction. 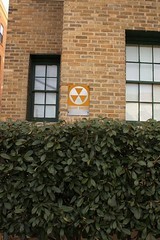 143 construction projects that had no fallout shelter funding were able to apply slanting techniques because they could be applied at no additional cost. [i] Civil Defense 1965 MP-30, Washington D.C.: United States Department of Defense, Office of Civil Defense, 1965, 21. [ii] Annual Report of the Office of Civil Defense for Fiscal Year 1965, Washington D.C.: United States Department of Defense, Office of the Secretary of the Army, 1965, 43. [iii] Annual Report of the Office of Civil Defense for Fiscal Year 1965, Washington D.C.: United States Department of Defense, Office of the Secretary of the Army, 1965, 40. 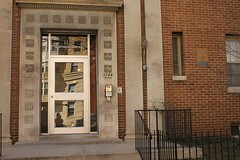 [iv] New Buildings with Fallout Protection Techincal Report-27, Washington D.C.: United States Department of Defense, Office of Civil Defense, 1965. [v] Civil Defense 1965 MP-30, Washington D.C.: United States Department of Defense, Office of Civil Defense, 1965, 21. [vi] Annual Report of the Office of Civil Defense for Fiscal Year 1965, Washington D.C.: Department of Defense, Office of the Secretary of the Army, 1965, 29.